If you’ve ever had to miss class before, then you may have asked the professor to have the session recorded via Panopto. You then received a viewing link to view the recording and all you had to do was click on the link and Presto! the recording appeared. Only one small issue with that… a little thing called “security”. 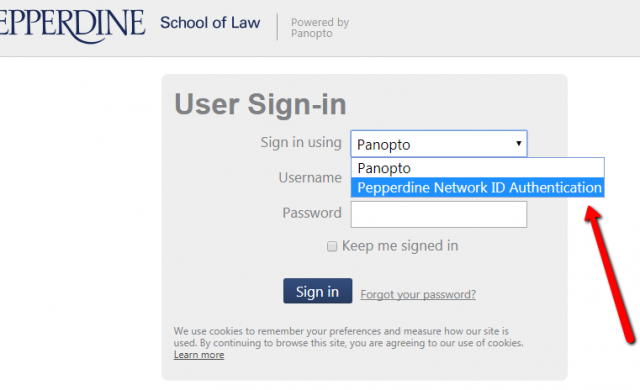 In an effort to ensure a more secure environment for all class recordings, the Panopto service has now moved to an online authentication that prompts you to log into the service with your Pepperdine WaveNet credentials. This means that when you get a viewing link now, you may have to “login” before you can view the session. This is super easy as long as you have a current Pepperdine network ID. All you have to do is follow the 3 steps listed below to login and “Viola” you’re watching your riveting class recording in no time! 1. Select the drop-down menu for the “Sign-in using” box. 2. 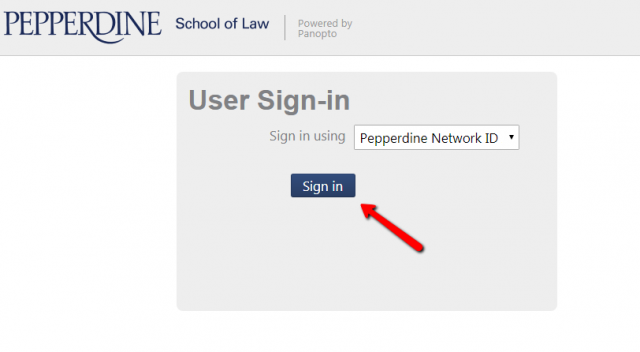 Choose the “Pepperdine Network ID” option. 3. Then choose “Sign In” and sign in through the Pepperdine Portal to be connected. 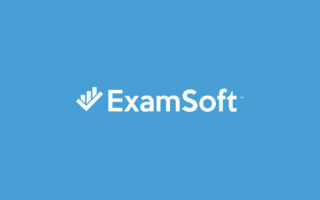 We wanted to make all users aware of a few tips for taking exams with Examsoft Examplify. 1. Restart your Computer BEFORE Exams – Sometimes we fail to realize how long it has been since the last time we restarted our laptops. Restarting your laptop will help speed up the performance of your computer, as well as install critical updates. This will help your machine operate faster during finals, especially when working within a program like Examplify. 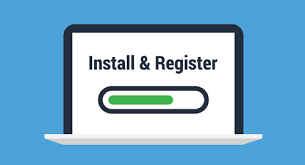 Restarting will also close down installers and other programs that may be running in the background and slowing down your laptop’s performance. There is nothing quite as frustrating as having your machine take forever to load your exam or upload your answers once you have completed the test. 2. Be sure to Quit Spotify Before Taking an Exam – Students at other law schools have reported issues with Examsoft from having Spotify open on their laptop when they open Examplify. In order for Examplify to work, it needs to lock down your computer into the exam environment. However, Examplify sometimes struggles with closing down the Spotify program and this can cause your computer to bog down or freeze in the middle of an exam… so for the sake of your own sanity, please make sure you quit the Spotify program Before you open Examplify. 3. Spell Check – Spell check is a very handy tool for exams. It is built right into the Examplify system now so it should work automatically. This is similar to most word processors like Microsoft Word where misspelled words are underlined in red. 4. Turn off your Antivirus – I know, I know… you should never turn off your antivirus, except when it comes to Examplify. Antivirus has been known to cause a whole host of issues with Examplify, from black screens, to screen freezes, it’s all antivirus fault. Any antivirus can trigger this and it can even be intermittent, so even if it worked fine during a mock exam, it might not work in the real final. So just to be safe, disable it for the exam, but then re-enable it afterwards. 4.1 Turn off Automatic Updating – Regardless of whether you are a PC or a Mac, turn off the automatic updates feature. Some operating system (OS) updates could cause major conflicts with Examplify without prior warning. So it is best to not update your OS unless you are sure it will work with Examplify. You can check which OS versions are supported by Examplify at ExamSoft’s website. We recommend disabling automatic updating on your laptop as it could trigger an update or even an update warning window during your exam, which could cause Examplify to crash mid-exam. 5. Word Count – Word count is a helpful feature in Examplify and is absolutely necessary for certain exams. However, it can be tricky to use sometimes. The character count automatically displays above your answer text box. But don’t be fooled by this number though, this is NOT your word count. You can view the word count from this line though. To see more information, you can click on the paper symbol next to the character count. This window provides the total number of words, characters, and characters without spaces for the essay response. If text is selected in the current question, Examplify provides the same information for the text that is selected. This tool will help you keep your essays within your instructor’s specified parameters for the exam. 6. 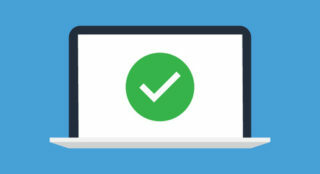 Take a Mock Exam – There is an easy way to check if your exam environment is working, simply download and launch a mock exam! This will test out the exam environment on your computer and will let you know in advance if you are going to run into any technical troubles on exam day. If you have any issues during a mock exam, please contact support@law.pepperdine.edu. 7. Download Your Exam File Ahead of Time – Please download your exams before the exam day as occasionally there may be issues on the day of i.e. WiFi outage, ExamSoft service disruption, etc. Exams are usually available for download two days before the exam date. So you can avoid the panic of not being able to download your exam in time by simpling downloading in advance unless you enjoy intense anxiety, sweaty palms, and paranoia. Then again, if you are looking for a good adrenaline rush right before your exam, you can just wait to download until the last second. For more helpful tips from Examsoft, please visit their Exam Taker Tips page. “I’m so excited it’s almost final exam season!” said no one ever… But even though finals might seem like a long ways away still, they will be here before you know it. And like your Crim Pro professor has probably already said, it’s never too early to start preparing for finals. Probably the easiest thing you can do to prep for final exams is to download the new exam software, Examplify, from ExamSoft©. 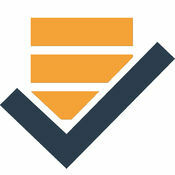 Examplify is replacing our old SofTest program, which was also made by ExamSoft. 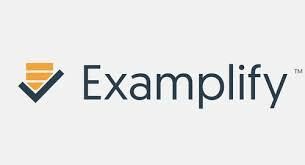 Examplify has a number of new and helpful features, such as built-in spell check, SofTest used an outdated spellcheck wizard, and a new exam landing page and launch screen navigation. Now all you have to do is login and you can immediately see all of your available exams in the left-hand column, including exam-files available for download, ones you have already downloaded, and exams you have already taken and submitted. Instead of having to go to a different screen to download your exams, then another screen to take an exam, and yet another location to review the status of your exam upload, now you can do it all right from your landing page. 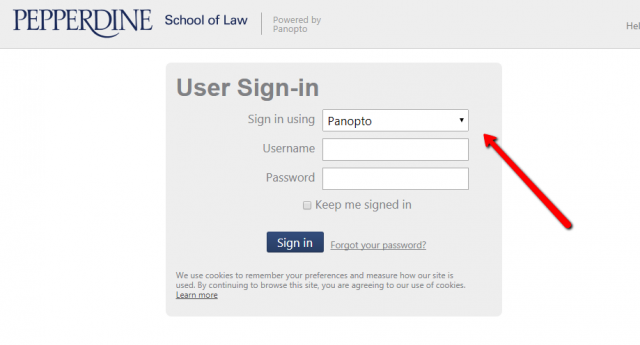 For more information on how to navigate the new interface, check out ExamSoft’s helpful Quick Start guide for new Examplify users, or just log into examsoft.com/pepperdinelaw and download the program to see for yourself. It’s extremely easy to use! So what are you waiting for? Get ready for finals by downloading Examplify today! So you finally finished that 3 hour exam. You’ve uploaded your exam file and got the green “All Clear” sign (cue enormous sigh of relief). Congratulations! You’re home free at last, except apparently Examsoft decided to do some redecorating while you were taking your exam because your desktop background is now an Examsoft selfie (talk about shameless advertising). Not to worry, they have a solution for that. Also, just remember, this is the exact same software used for your BAR exam, so it’s best to sort out all these problems now, rather than when you’re sitting for the biggest stress test of your life. You can also check out this page for the list of their latest minimum computer requirements for Examplify on Windows PC and Mac OS X computers. You can also check out this Quick Start reference list for all the support tips you might need. And if you get Really lost, give Examsoft’s tech support a call at 866.429.8889 or via email at support@examsoft.com. They’re just waiting to help! For those of you who are in law practice or hope to be in the near future, it is becoming clear that you will want to exercise every advantage you can to make your contributions as a lawyer as competitive and innovative as you can. As in many professions, the use of technology to leverage your skills to greater efficiency is a boon to law practice. Lexis and Westlaw and now Bloomberg Law are anxious to stay relevant in a world that is in an app frenzy. Not to say that many apps are not valuable, in fact there are myriad apps that address specific needs very well. Lexis Nexis’ release of TextMap for iPad leverages this mobile platform for those reviewing transcripts in TextMap 6.2 . If you are not familiar with TextMap, it is a transcript summary tool most commonly used for summarizing deposition transcripts. This product is a far cry from what we used for deposition summaries back in the early 1990’s when I was a young law student looking for extra work … “Depo summaries my boy! That’s what you should do!” At least we had WordPerfect 5.1 for DOS back then — much better than a manual typewriter — I’m not THAT old. But in the end it was high pay, highly manual, and high eye strain! A terrific combination! I couldn’t hack it. Facts of life: There will be depositions in law practice. Where there are depositions, there will be transcripts. Where there are transcripts there will be transcript summaries. Yes, you can hire someone to take the transcripts for you but in the end, every party needs their own depo summaries. Who’s gong to summarize your depo transcripts? You? Get a tool. TextMap is a popular solution and now with the iPad app, you can do it on the run (while you are sitting in the hall outside the courtroom waiting for the next thing to happen). This is not an endorsement for TextMap. Think of it as more of an endorsement of getting tools that work for you. In the end, I found that I wasn’t cut out for depo summaries at all so I’m hardly the person to recommend any product in this area BUT if it makes it easier, I’m a fan. It’s certainly worth a look. To keep yourself up to date on law technology news, click here to be directed to Legal Tech News, powered by Law.com. We’ve all heard the stories, perhaps you’ve even had nightmares about it happening to you. You’ve stayed up for the past 36 hours preparing for an exam, you’ve checked and re-checked your notes and then checked someone else’s just to be sure you hadn’t missed anything. You’re ready for this, you’re going to own this exam. You sit down and open your laptop, open Examplify, and then… everything goes dark. No your computer didn’t just transport you into a galaxy-sized black hole, but the alternative is almost equally terrifying and just as inescapable… you’re going to have to use a Bluebook. As you sit listening to your classmates happily typing away at what sounds like 1000wpm, you wonder to yourself… “where did I go wrong?” Your mind frantically searches for any trace of what could have caused this tragedy, when suddenly, you vaguely recall ignoring a post on Lawtech that warned you of this very scenario. A creeping inclination begins to gnaw away at the edges of your consciousness… Could this all have been prevented if you had only read it? The good news is, this was all just a horrifying Hypo. And yes, the possible outcome is easily avoidable. Just turn off your Antivirus software before you open Examplify. Various antivirus programs have been linked to several computer disabling issues when used with Examplify. These issues include black screens, computer freezes, and crashes, or my personal favorite, desktop background changes to an Examsoft icon. These issues can occur intermittently and unpredictably so even if you have taken a mock exam without incident, you may still encounter a problem during an actual exam. Don’t let this happen to you! Just remember, before you begin your next exam, and believe me you have no idea how painful this is for a tech guy to say, please turn off your antivirus. But don’t forget to turn it back on as soon as you submit your exam! 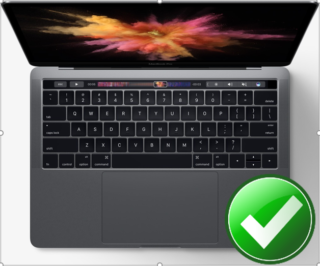 As you may know, there was a previous security issue with Mac TouchBar enabled laptops that prevented them from being used on numerous state bar exams during the February bar. Many law schools also banned them from being used on exams this spring. However, Pepperdine still allowed TouchBar laptops to be used but required the TouchBar be manually disabled by IT staff. Fortunately, the latest version of Examplify from Examsoft has resolved this issue and all TouchBar enabled laptops are now permitted to be used on exams without needing to disable the TouchBar in advance. Examplify will now automatically disable the TouchBar when the exam is launched and re-enable it once the user exits an exam. This will prevent any potential exam integrity issues so all users are cleared to take finals on their Mac TouchBar enabled laptops. Fortunately, the latest version of Examplify from Examsoft has resolved this issue and all TouchBar enabled laptops are now permitted to be used on exams without needing to disable the TouchBar in advance. Examplify will now automatically disable the TouchBar when the exam is launched and re-enable it once the user exits an exam. This will prevent any potential exam integrity issues so all users are cleared to take finals on their Mac TouchBar enabled laptops. 1L’s Register your WESTLAW PASSWORD ASAP! It’s a brand new world and you are going to need all the right tools to help you succeed in Law School. One of the most important tools you’ll need is access to TWEN (an acronym for The West Education Network). As a new student you will receive (or have already received) an email indicating how you should register your Westlaw password. Please do this as soon as possible as this will enable you to access the TWEN system which will provide you with course information placed there by your professors.